If you want to generate inbound lead, start with data. Statistics and research provide a solid foundation for making important decisions about keywords, SEO, sales copy, and other crucial marketing factors. As long as you use reputable sources like the sites detailed below, you'll create an advantage for your business. 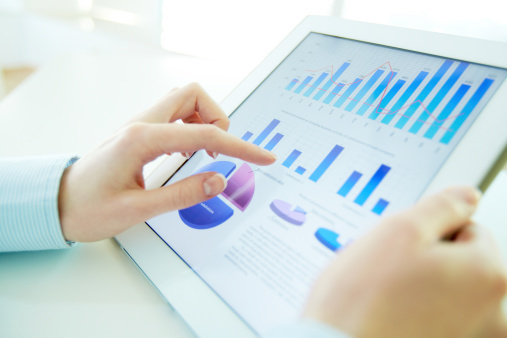 Use statistics to gain relevant insight into your target market. You don't have to join the CMO Council to benefit from the organization's extensive research. View the latest statistics and reports on digital advertising and marketing from industry experts or read comprehensive blog posts that feature case studies and other useful data. The SBA offers free and detailed data for all entrepreneurs, some of which focuses specifically on marketing analytics and data. If you need information on demographics and location-specific marketing efforts, start with the SBA. Whether you're looking for statistics to bolster your advertising campaign or useful metrics to back up a point in a blog post, Hubspot Research delivers results. This free resource compiles data from numerous reputable sources and provides a handy search feature for quick access. Each entry is called a "fact," and is archived by several methods, including date and category. Defined as a "hub for thought leadership," IAB publishes insights and resources for marketers and entrepreneurs. Use this site to research industry-specific metrics or to identify and fill gaps in your industry. Unlike many sources of marketing stats, eMarketer approaches the industry from both sides of the coin. Use this site to uncover useful factoids about how consumers spend their money as well as how marketers spend their time. Learn from the successes and mistakes revealed through reliable data. If you aren't sure how to approach your inbound marketing campaign, visit Kapost to learn the basics (as well as more advanced information) about how consumers use the Internet and about how different types of marketing campaigns convert. Each statistic features a link back to the original source. Column and bar charts sometimes reveal more data than simple statistics. Marketing Charts provides a wealth of information, mostly in the form of easy-to-read charts, and topics range from holiday spending to mobile advertising methods. Testing in the real world of marketing and training the techniques learned from testing is what MarketingProfs is all about. They publish numerous reports with stats and techniques learned to be effective. There are abundant guides on how to accomplish what you want on the Internet. Each year, Curata publishes a Content Marketing Tactics eBook that surveys more than 500 marketing companies and answers entrepreneur-specific questions. Download the eBook for free by providing basic contact information, such as your name, phone number, job title, and business name. HubSpot provides another excellent annual report that is full of reliable marketing statistics. When you fill out the form to download the free report, make sure to subscribe to HubSpot's marketing blog so you don't miss other valuable content. While numbers and statistics don't offer all the information you need to generate high-quality inbound leads, they provide the necessary foundation to launch an effective campaign. When you need reputable marketing stats, what sources do you use? What makes them great? Let us know in the comments.